No matter what type of application you’re developing, it’s a safe bet that it probably needs to save or load data from a central data store, such as Amazon S3. During development, you can take advantage of the Amazon S3 management tools provided by the AWS Toolkit for Eclipse, all without ever leaving your IDE. 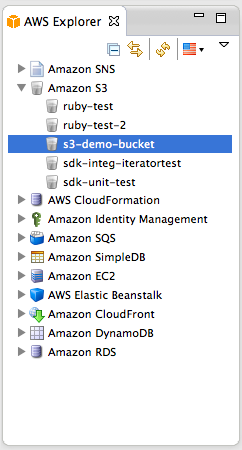 To start, find your Amazon S3 buckets in the AWS Explorer view. From the AWS Explorer view, you can create and delete buckets, or double-click on one of your buckets to open it in the Bucket Editor. 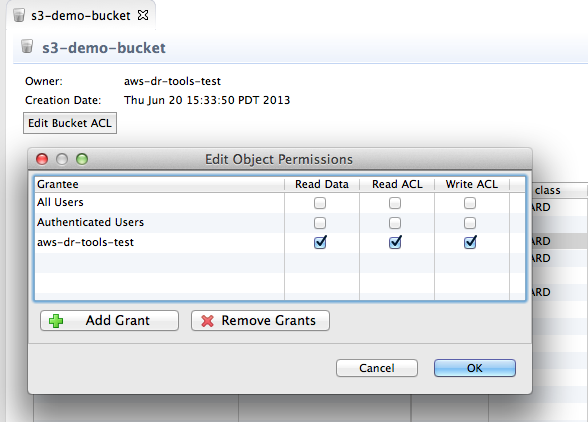 Once you’re in the Bucket Editor, you can delete objects in your bucket, edit the permissions for objects or the bucket itself, and generate pre-signed URLs that you can safely pass around to give other people access to the data stored in your account without ever having to give away your AWS security credentials. 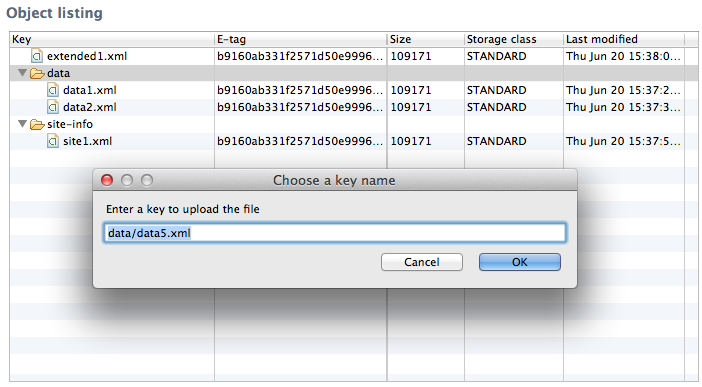 One of the most useful features is the ability to drag and drop files into your Amazon S3 buckets directly from your OS. 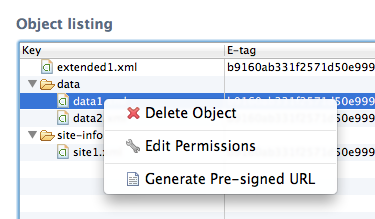 In the following screenshot, I’ve selected a file from the Mac Finder and drag-and-dropped it into a virtual folder in the object listing in the Bucket Editor. 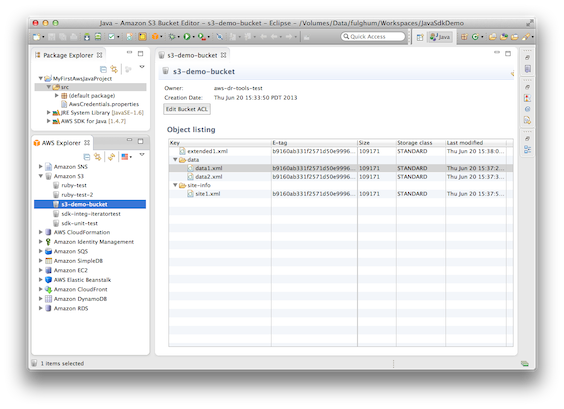 To download one of your objects from Amazon S3, just drag it to a directory in a view such as Eclipse’s Package Explorer.